We talk with Fr. Luke Veronis about the upcoming conference "Speaking to Secular America" to be held October 28-30 at Hellenic College Holy Cross Seminary in Brookline, MA. More information is available from the Missions Institute. Fr. Stephen looks at the temptations of our secular culture and its invitation to live in an "unholy land." 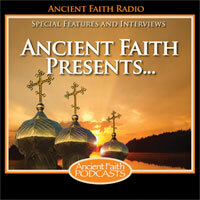 John Maddex interviews Fr. Luke Veronis, author of Go Forth: Stories of Mission and Resurrection in Albania. Ancient Faith Presents: Antiochian House of Studies Celebrates 35 Years! Fr. Joe Allen joins us from the Antiochian convention in Boston to talk about the 35th anniversary of the Antiochian House of Studies and the new Coptic module.